The Patent and Trademark Office is developing its own AI to make examinations more efficient. 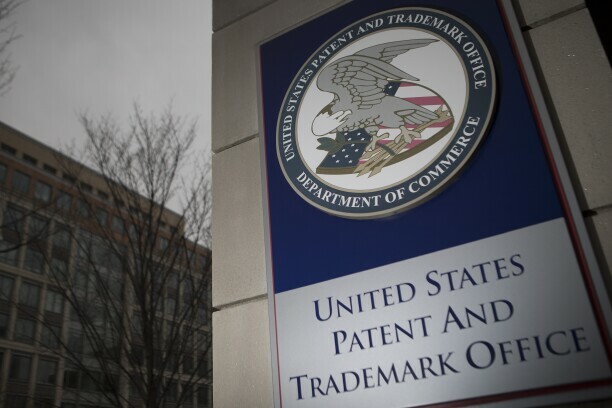 The U.S. Patent and Trademark Office is developing its own artificial intelligence tools to help examiners analyze patent and trademark applications. The move is part of agency director Andrei Iancu’s push to ensure the office is issuing patents and trademarks that can stand up to legal scrutiny. Stronger patents and trademarks give more certainty to inventors and investors alike, Iancu has said. The agency received 643,349 patent applications and 638,847 trademark applications in fiscal year 2018, according to its recent annual report. It’s betting its homegrown AI technology, including smarter search engine algorithms used in patent examination, and slicker image-based indexing of trademark logos, will allow examiners to spend more time analyzing the applications and less time searching for documents they need to review submissions. “The efficiency we are looking for in areas around search and classification is where less time is spent to find information and more time is spent analyzing it,” Thomas Beach, the agency’s chief data strategist, said. Nine examiners and seven AI engineers are involved in a pilot program to accelerate prototyping AI tools, Beach said. The AI tools will help nearly 9,000 examiners use time and resources more effectively, he said. “The return on investment or goal, if you will, is to allow the examiner to have more time to spend on the right documents,” Beach said. AI tools can help examiners give applicants dependable results, Arthi Murugesan Krishna, the PTO’s artificial intelligence computer scientist, said. Murugesan Krishna is one of the AI engineers embedded among examiners. The PTO is teaming up with computer science experts from universities, including George Washington University, Beach and Murugesan Krishna said. It is using some AI open source technology from companies, including Facebook Inc., Alphabet Inc’s Google and Spotify Technology SA, she said. The office will integrate AI tools into its existing systems once they’ve been tested, Murugesan Krishna said. “We don’t expect a whole new set of tools just because AI came on board,” she said. Patent examiners parse claims, which are words describing an invention. The PTO is focusing on using natural language processing, a branch of AI that helps computers understand and interpret human language, Beach said. Examiners currently conduct thorough searches of previous inventions, patented technologies, and publicly available research, to see if an invention is novel and worth patenting. They enter a complex string of keywords with operators such as “AND,” “NOT” and “OR” in the PTO’s Boolean search engine linked to its database. The algorithm uses pre-decided synonyms, or related words grouped together, to provide relevant documents. For example, when searching “Christmas Tree Blowout Preventer,” a device in oil wells to control oil flow with valves shaped like a Christmas tree, an examiner must type in a precise search string to block documents related to Christmas lighting and decorations, Murugesan Krishna said. AI aims to make the patent search process quicker and more intuitive. Murugesan Krishna’s team is deploying machine learning, another sub field of AI, to learn what documents examiners are choosing from search results to better understand which word combinations are working or not. The team can then tweak search algorithms to make its search tool more intuitive and offer customized results in the examiner’s technical specialty area, she said. “We also want to learn from the really sophisticated examiners and nudge the novices saying, ‘Other people in here are trying this, why don’t you try that?’” she said. The PTO classifies patents based on hundreds of thousands of codes under the Patent Cooperation Treaty that allows inventors to file patents in multiple countries through one standardized application. Classifying patents in a database is akin to placing books on library shelves based on one or more genres. The five largest global intellectual property offices in the United States, Japan, South Korea, China and Europe are all experimenting with how AI can help index patents for examiner searches, Beach said. The PTO is also testing deep learning, using artificial neural networks to mimic human thinking in tasks such as processing words and identifying images, to streamline how it categorizes trademarks that contain words and logos. An applicant must pick from a list 1,400 design codes assigned to images such as an elephant or a star, and enter them into an application. The agency’s AI team is developing tools that scan incoming trademark designs and recommend codes to guide its customers, Murugesan Krishna said. The AI-infused trademark tools could point out the top 10 codes to save the PTO staff time and effort to comb through numerous codes, Beach said. “The more you get a mass of people doing similar things, the more consistent we will be,” Murugesan Krishna said.